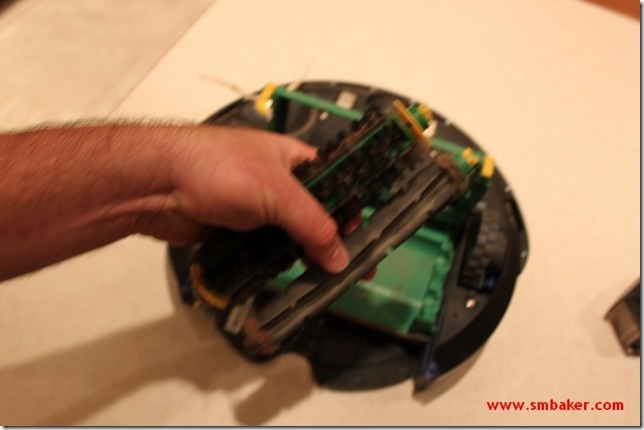 This is a review of the iRobot Roomba cleaning robot. The iRobot roomba is a robot that claims to be able to vacuum for you. As vacuuming the floor is one of those tasks that I put off and rarely get around to, it seemed like a good product to evaluate. I evaluated it for a period of about a month. The performance of the robot is pretty good. You push a button, it cleans the floor. It has a scheduler feature that I did not try, preferring to do the cleanings when I wanted to rather than at a predetermined time. It runs for about an hour, after which it’ll find its charging station and plug itself back in. The floor is always cleaner than it was before it ran, and I’m amazed at the amount of dirt that I find in the debris bin. The robot does a great job of navigating the rooms. 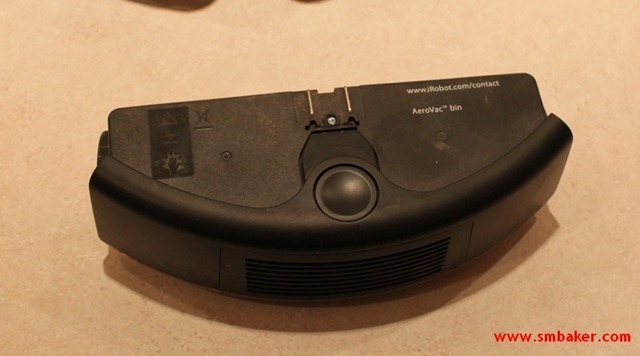 It follows the fall contour getting everything down by the baseboard clean, and it travels through the middle of the room as well. It’s smart enough to back away from and avoid obstacles. On the few times that it’s ventured into the very narrow laundry room, it’s always been able to navigate its way back out. One of the issues that the purchaser may not realize is that the robot itself does require periodic maintenance. While you may no longer be vacuuming your floor, you are now responsible for care of one robot. This amounts to emptying the debris bin and cleaning the brushes at least once per cleaning cycle. If you have a dog that sheds, then cleaning may be more. 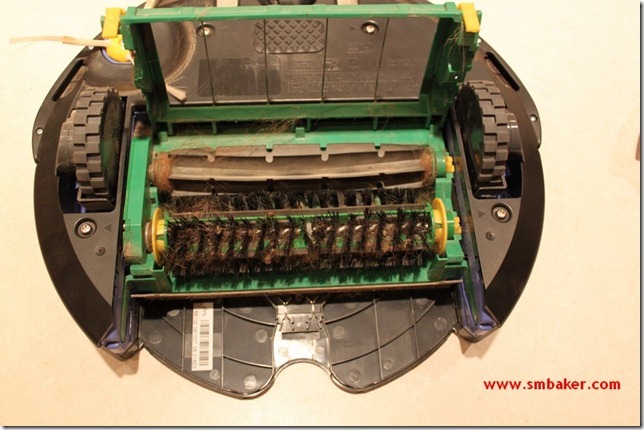 One of the big questions is, is the roomba compatible with dog owners? There are a lot of mixed reviews on the issue. I have a pair of Australian Shepherds. 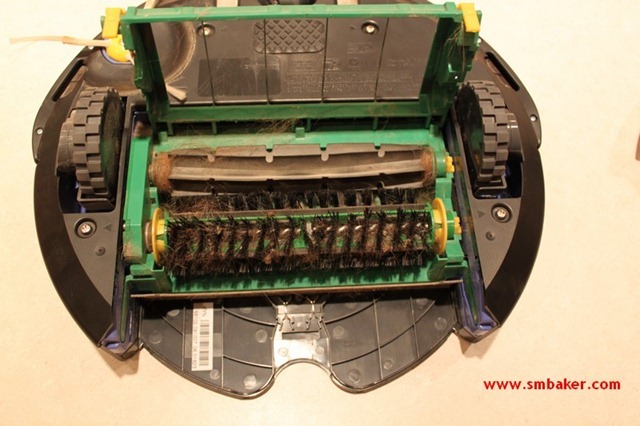 When I first started to evaluate the roomba, the dogs’ hair was thick and they were actively shedding. This wreaked havoc with the roomba. It couldn’t make a cleaning cycle without stopping two to three times and asking me to clean the brushes (roomba knows when the brushes are not spinning freely). The dogs were overdue for a shave anyway, so off went the hair. After that, the roomba was much more successful. I clean the brushes once at the end of the cleaning cycle and it will perform flawlessly for the next cycle. There have been some reports of dog hair messing up the gearbox. I haven’t experienced any issues. iRobot made some changes to the gearboxes some number of months back and that seems to have done the trick. In conclusion, I’m impressed with the product. 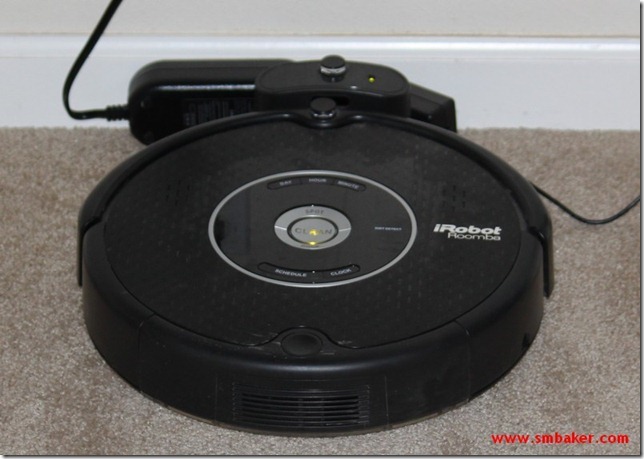 I’ve had comments about how much cleaner the room is since starting to use the roomba.